The 249 study participants were men and women in their early 60s. Their blood sugar levels were tested and they all fell within the normal blood glucose range, which is anything under 126 mg/dL according to the World Health Organization (WHO).4 They each received a brain scan as well. Four years later, these same participants were all re-tested with a second round of brain scans. Upon analyzing the two versions of each brain scan, some troubling findings were discovered. Those volunteers with blood sugar levels close to the high end of the normal range experienced a six to 10 percent decrease in the volume of the hippocampus and amygdala, on average. The scientists then refigured their results by eliminating any subject who was overweight or obese. They also employed the guidelines for normal blood sugar levels as determined by the American Diabetes Association, which provide a much stricter number of 100 mg/dL as the high end of normal, and considerably lower than those used by the WHO.5 Yet even at that stricter number, the findings did not vary, which lends credence to the study and shows that the main factor at work seems likely to be the elevated blood sugar, which is often defined as pre-diabetes. It all adds up that steadily high blood sugar levels--even if they don't reach the red-flag point at which doctors take notice--can do damage to the body over time. It affects the brain as well as the heart, eyes, skin, nerves, and much more. You might think that any hint of evidence that the levels of blood glucose currently considered "normal" by various medical associations could, in fact, still be dangerous to health would get these organizations to consider doing some fine-tuning. However, bureaucracies of all kinds are slow to make any kind of change, and it will probably take mountains of research with similar findings to truly grease those wheels. 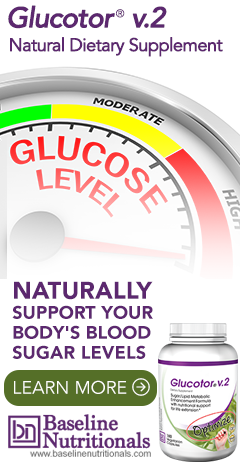 Truth be told, none of us should be satisfied with blood sugar levels anywhere close to the high end of normal. Another way to look at it is that "normal" probably does not mean healthy. It might just mean that thanks to poor lifestyle choices most people--the average, as it were--are borderline unhealthy. Exercising on a daily basis goes a long way toward improving these numbers. And as much as you might want that slice of cake, just remember that if you do end up with diabetes, your diet will be restricted for good anyway. Better to say no now than to never be able to have treats like that again. And if you're worried about your brain shrinking, you might want to try meditation, as studies have shown that it actually "grows" the very same areas of the brain that diabetes shrinks. 1 McMillen, Matt. "Normal Blood Sugar Levels May Harm the Brain." WebMD. 4 September 2012. Accessed 12 September 2012. <http://www.webmd.com/brain/news/20120904/normal-blood-sugar-levels-may-harm-brain>. 2 "Brain Structures and their Function." Bryn Mawr. 5 September 2012. Accessed 13 September 2012. <McMillen, Matt. "Normal Blood Sugar Levels May Harm the Brain." WebMD. 4 September 2012. Accessed 12 September 2012. .>. 3 Brain With Alzheimer's Disease." American Health Assistance Foundation. 10 January 2012. Accessed 13 September 2012. <http://www.ahaf.org/alzheimers/about/understanding/brain-with-alzheimers.html>. 4 "About Diabetes." World Health Organization. Accessed 13 September 2012. <http://www.who.int/diabetes/action_online/basics/en/index1.html>. 5 "How to Tell if You Have Diabetes or Prediabetes." American Diabetes Association. Accessed 13 September 2012. <http://www.diabetes.org/diabetes-basics/prevention/pre-diabetes/diagnosis.html>. great post, i like your post very much. I would be interested to know whether besideds glucose levels these ladies were screened for other conditions which cause cognitive decline especially in that age group. Active B12 deficiency, and low free thydoid hormones?